The one thing that we’ve noticed that these ads all having common (besides the obvious theme) is the fact that they aren’t marketing the traditional products (toys, video games, etc.) to kids. They are marketing these products to us, often using nostalgic imagery of us reminiscing about fantasy Star Wars role-playing when we were kids. I personally have caught myself numerous times, tearing up, remembering my own childhood. It’s so bad that I actually reconsidered my decision (for a moment) to cancel my preorder of Star Wars: Battlefront despite the fact that the beta was awful and it was nothing more than a capture-the flag-version of Battlefield with a Star Wars skin. That said, this whole marketing strategy got me thinking about the toys from when I was a kid and how much fun they were and how much fun the ads were. So, I tracked down to videos on YouTube that had compiled all of the Kenner tv spots from 1977 through what appears to be around 1981 for both Star Wars and Star Wars: The Empire Strikes Back. My Friday partner in crime, Hayden, helped me do a a little intro with no help from our cat, Ozzy… who attacked a shoe. 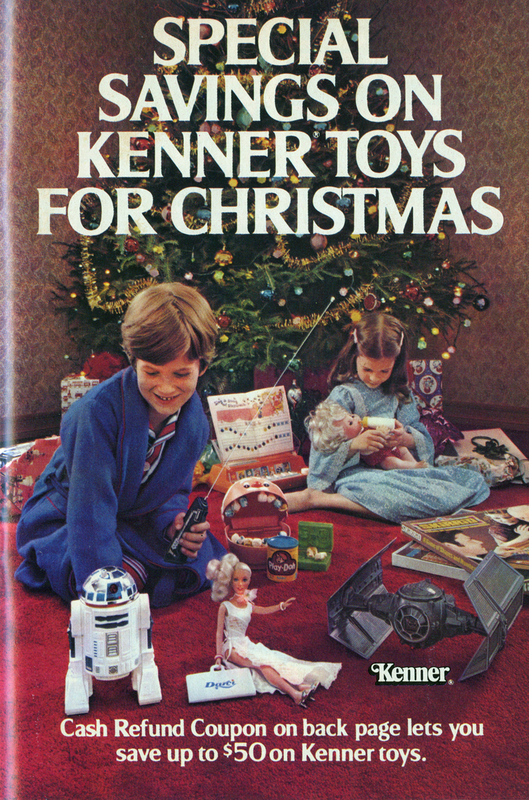 This entry was posted in Star Wars and tagged ads, kenner, star wars, star wars the force awakens, starwars: battlefront, toys. Bookmark the permalink.